I don’t want to do your website. I’m posting this because it bugs me. I’m going to tell you what so many people are doing wrong on websites like Upwork, Thumbtack and others when it comes to, “I need a website done” postings. These are good sites, and if you need something done, they’re pretty awesome. Need a room painted? Need something fixed? Get a bid. Move right along. When it comes to websites – and I’ve been watching a few of the postings on sites like this – the postings tend to be horrible. Here’s what you need to have if you’re going to post that you need a website. This could be a personal site, but let’s approach it like a business. What do you expect of this site? What sort of expectations you have are very important to get a real quotation. For example, if you just want a placeholder site – with your contact information, maybe a copy of your resume and/or portfolio – say that. If you want to be able to process credit card transactions for selling those magically painted seashells, say that – and if you plan to do it not now but in the future, say that as well. 2. Do You Expect To Need Maintenance? This is almost always a ‘yes’, though most people don’t seem to understand it. The internet is constantly evolving and your site will have to as well. You’re looking at a recurring cost. What will that be? 3. Do You Have Content, including Logos? If you’re asking someone to generate content for you as well as do the website, know that these are separate tasks. Sure, there are people out there that claim to both – but their catch-phrase may be, “All Your Site Are Belong To Us”. Search Engine Optimization (SEO) is almost always an issue here unless you want no one to find your website. What do you want to be found for when people search? 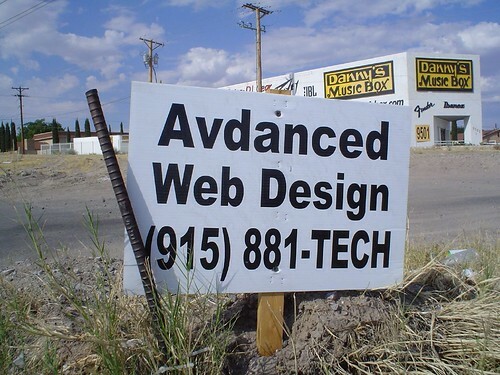 Further, if you are doing a website and don’t have a logo, you shouldn’t really expect a web designer to do it. Logos should be done by graphic artists, and a lot of thought has to go into them. Are they going to be on stationary? Are they going to be registered trademarks? Do you have your own photographs? 4. Do You Want To Post Your Own Updates? This is a magical question. If you do, and you are willing to invest a little time to learn, WordPress.com presently takes $99 of your money and register your domain name (MyAwesomeBiz.com might be taken) – and has a pretty easy to learn interface… which you may have to learn anyway after you find out that when you thought you needed maintenance and so on, you do. (See #2). How are you planning to use your site with Social Media? 6. Are You As Certain As You Were When You Started? Don’t waste your money going off half-cocked. If you do, you’ll end up spending more and getting less. If you really need help defining what you want, drop me an email. If I have the time and you are willing to pay a fee for my time, I’ll give you worthwhile advice. If you’re in the Daytona Beach/New Smyrna Beach area and catch me at a local coffee shop, I might even do it for free.